All car routes start on the SP17 at the Eni gas station in Balestrate. The gas station is located here. The routes on this page can be viewed in Google Earth. You can download this free program here. The routes on this page can be viewed in Google Maps. You don’t need to download software for this option. The coastal towns of Balestrate, Castellammare del Golfo, Alcamo Marina and Trappeto are all located near the highway A29, so they can easily be reached from the airport of Palermo and that of Trapani. Their geographical location is also ideal for excursions in the region. However, you do not always have to take the highway to reach the various places of interest on the beautiful island of Sicily. 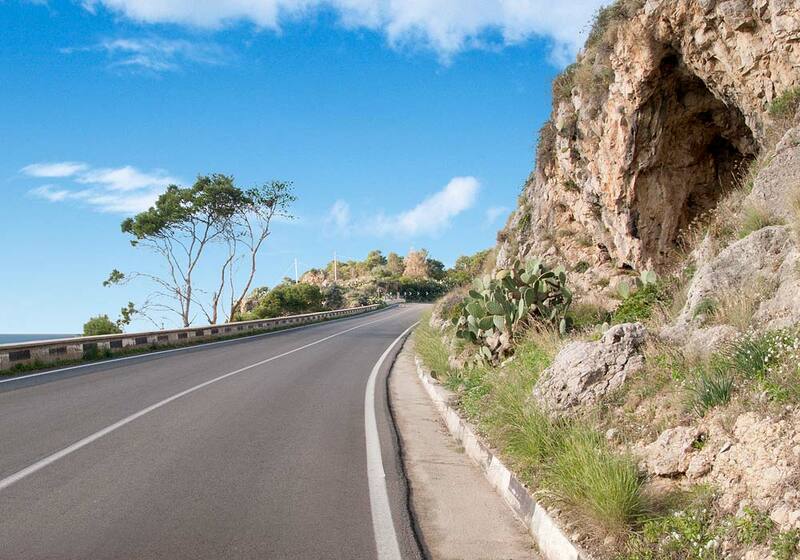 On this page you’ll find several scenic car routes in Sicily with which you can explore this region of the sunny island via provincial and local roads. This itinerary leads you through the mountains to the city of Monreale. From the mountain road you’ll have a lovely view of Gulf area (Golfo di Castellammare) and in Monreale you’ll have a great view of the city of Palermo. Follow the SP17 in the direction of Partinico and Alcamo. Turn left at the end and follow this road (SS113) until you’ve reached the roundabout in Partinico. 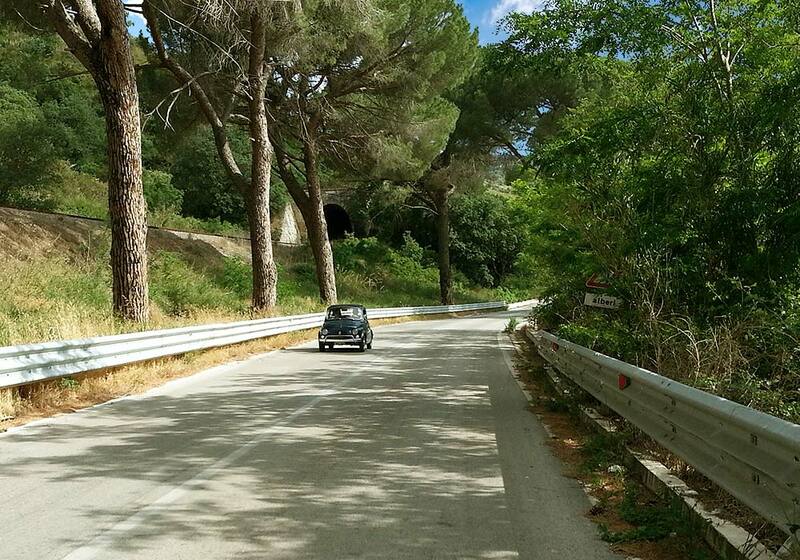 Turn right (SS186) in the direction of Partinico and follow the road until you reach Monreale. Don’t enter Monreale yet, but follow the road for Palermo. At a certain point you’ll see a “P” sign (Via Ignazio Florio) on your left. This road takes you to a parking lot from where you can reach Monreale on foot. Tip: You can take a bus or taxi into Palermo from the cathedral square in Monreale. Balestrate, Partinico, Borgetto, Pioppo, and Monreale. Click here to view this route in Google Earth. The cathedral of Monreale. See places of interest. 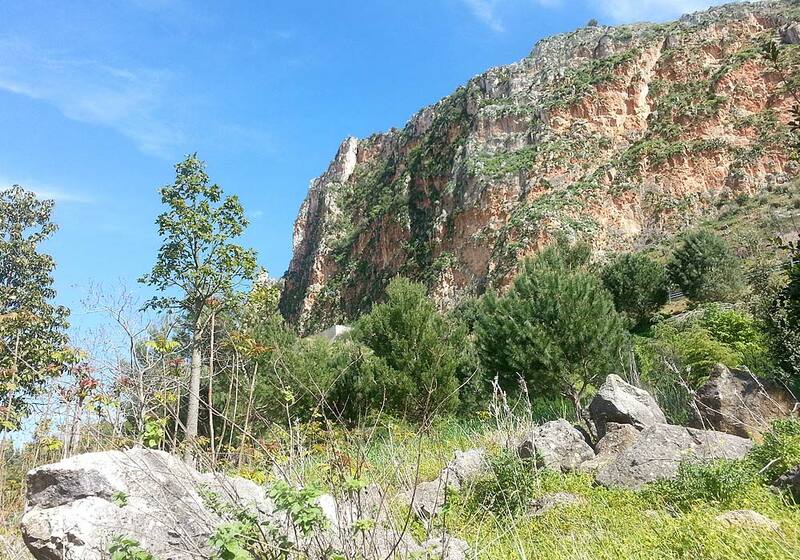 This route leads through the hilly landscape close to the town of Alcamo to the archaeological park of Segesta. Follow the SP17 in the direction of Partinico and Alcamo. Turn right on the SS113 in the direction of Alcamo and follow this road until you see a sign for Segesta. Turn right here. Follow this road until you see the parking lot of the archaeological park. The temple and amfitheater of Segesta. See places of interest. This route leads through small towns and a hilly landscape with vineyards and grain fields to the city of Trapani. Follow the SP17 in the direction of Partinico and Alcamo. 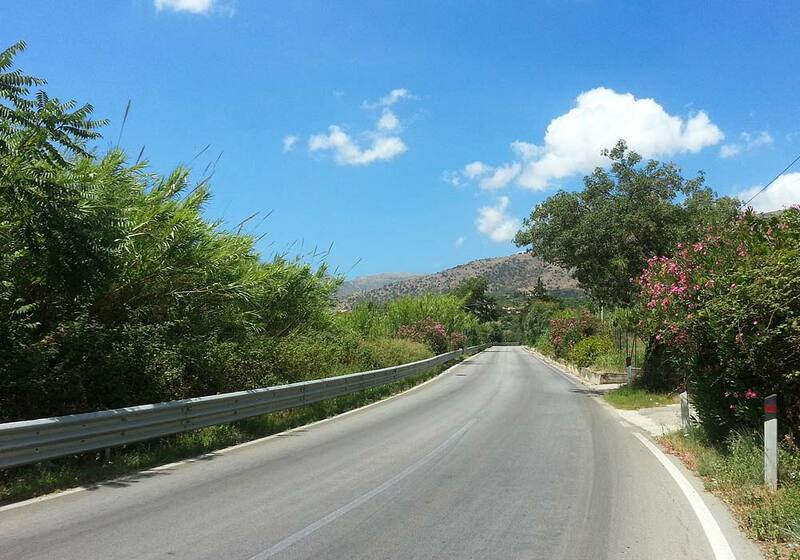 Turn right on the SS113 in the direction of Alcamo and follow this road until you reach Trapani. There you can follow the signs for centro (city center) or porto (harbor). The downloadable route below leads to the harbor of Trapani. Balestrate, Alcamo, Calatafimi, Borgo Bassi, Ummari, Ponte Binuara, Torretta, Specchia, Napola, Mockarta, Rigaletta, Milo and Trapani. On May 15th 1860 a great battle between Garibaldi and his mille (Resistance Army) and the Bourbons took place. The battle, which eventually was won by Garibaldi, was decisive for the organization of Sicily and the unification of Italy. On the hill where the battle took place, a few kilometers away from Segesta and Calatafimi, you can see an obelisk commemorating the soldiers who gave their lives to the unification of Italy. This memorial is located near the road to Trapani and is shown on the downloadable Google Earth route. Several churches and the ruins of a castle in the town of Calatafimi and an obelisk near this town. See places of interest. 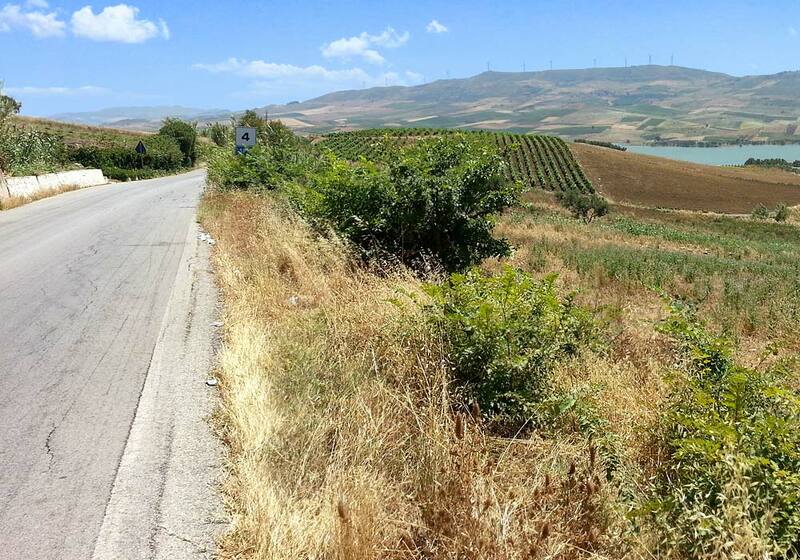 Following this route, you’ll pass the lake Lago Poma and through a hilly landscape with vineyards, olive trees and grain fields, you’ll reach the town of Corleone. Follow the SP17 in the direction of Partinico and Alcamo. Turn left at the end and follow this road (SS113) until the roundabout in Partinico. Turn right (SS186) in the direction of Palermo. Take the first exit (after a few hundred meters) and at the end of this exit turn left in the direction of San Cipirello and Corleone (SP2). 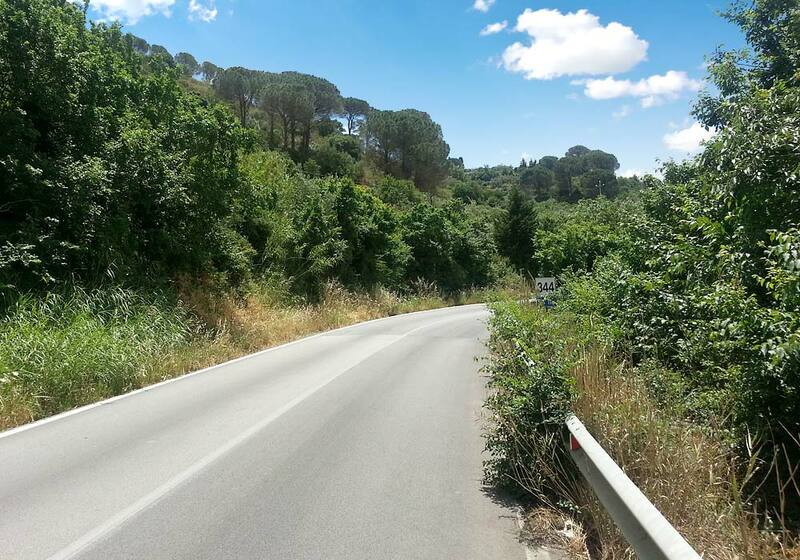 When you arrive in San Cipirello, stay on the road (Viale Enrico Berlinguer – Via Aldo Moro) until you reach the provincial road Serralombardi-Scassabarile (SP4). Turn right here, in the direction of Corleone. Follow this road until you’ve reached the town of Corleone. The royal palace of Ferdinando IV of Bourbon. This route follows the SS113 en SS187 and leads you through several small towns, like Terrasini, Villa Grazia di Carini, Capaci and Isola delle Femmine to the quaint harbor of Sferracavallo, where you’ll find several good fish restaurants. Follow the SP17 in the direction of Balestrate’s town center. From the main street (Via Madonna del Ponte) follow the signs for Trappeto. Drive through this coastal town and enter the SS187 in the direction of Palermo. Follow this road until you reach the SS113. Turn left here in the direction of Palermo and Terrasini and follow this road until you’ve reached the town of Sferracavallo. NB In the coastal town of Isola delle Femmine they are working on the railroad (from 2011), so there still might be some detours. If that’s the case, then just follow the blue signs for Palermo. Balestrate, Trappeto, Terrasini, Cinisi, Pozzillo, Villa Grazia di Carini, Carini, Capaci, Isola delle Femmine and Sferracavallo. The small island of Isola delle femmine and the harbor of Sferracavallo.